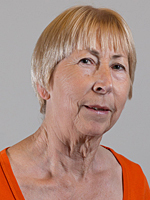 Morwen Millson is a former teacher and a longstanding County Councillor. She is particularly interested in ensuring high quality education and other services for young people, including Youth Services, Mental Health Services and support for Children Looked After. Morwen also supports services for carers of all ages. Recognising the threats posed to climate change through flooding and damage to roads, Morwen is keen to support environmental initiatives in West Sussex.